Happy Friday, everyone!! With spring around the corner, it’s time to stock up on some key accessories to transition your wardrobe. Lately I’ve been wearing a lot of belts with my high-waisted denim! 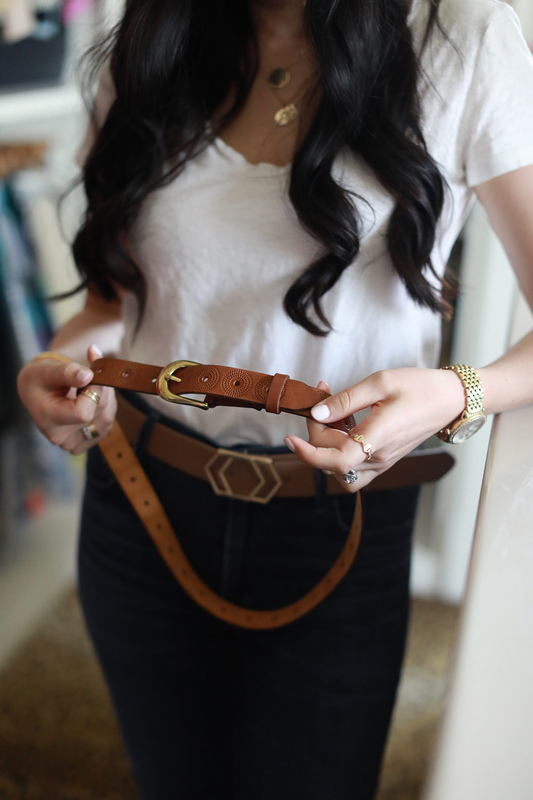 I feel like belts are totally making a comeback and it’s THE accessory to wear this spring (apart from sunglasses)! Watch my segment on Style Code Live to find out which sunglass shapes I am experimenting with this spring and 3 must-have belts! Click here to watch. 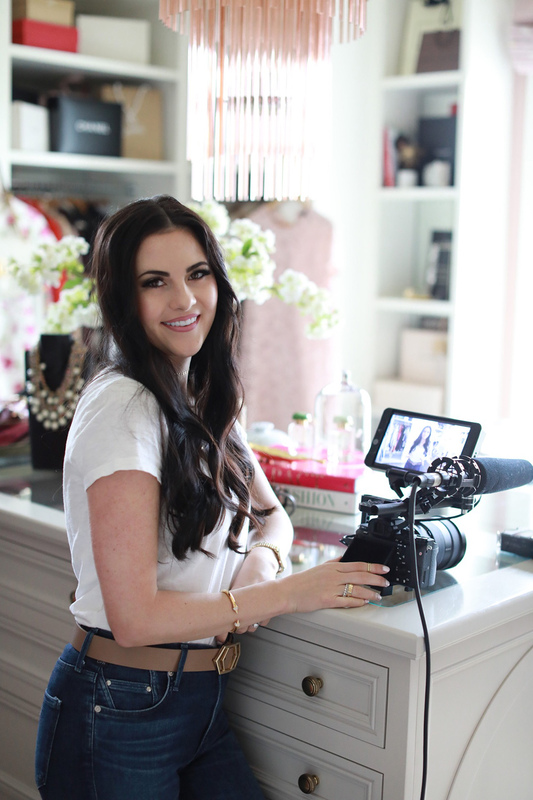 What’s your favorite accessory to wear lately? I’ve been into wearing belts too lately. They really are an awesome accessory this season! what’s on your finger? is it a ring on the upper half? I’m loving the belt comeback, but unfortunately, I’m not able to partake in the trend at the moment, since I’m pregnant. But, I feel like it will carry over to fall, so I should be able to experiment then :) Thanks for sharing, girlie, and I hope you have a wonderful weekend ahead! It will totally still be around in the fall! For sure! Hope you have a great Friday! Those belts are great! I love wearing a belt with my high-waist denim! Totally agree that belts are making a comeback! Love the one you’re holding! Loved the video! Can’t get enough of seeing your closet!! Love love love the segment Rach! Such cute accessories at a price point that everyone can enjoy. Keep up the good work!! Beautiful video Rachel. Happy weekend! Thank you so much Andrea!! Glad you liked it! I can’t leave the house without sunglasses and they are for sure my biggest weakness! I have also started to wear headbands again this spring (something I haven’t done in years). loved your video!!! Oh headbands is a super cute idea!! I need to give those a try :) And I’m with you on the sunglasses! Favorite accessory for sure! I only will wear high waisted denim with belts! Rachel, on one of your previous posts you included a link to your accessories/shoes that you received from a website that sold designer brands. What is the name of the website you buy from that sells designer brands? It was almost like a distributor. Not a store like Nordstrom. Was it Trendlee? Or Fashion Phile?! I’m trying to think of what you’re talking about haha. Let me know!! I just love layering simple gold necklaces lately! 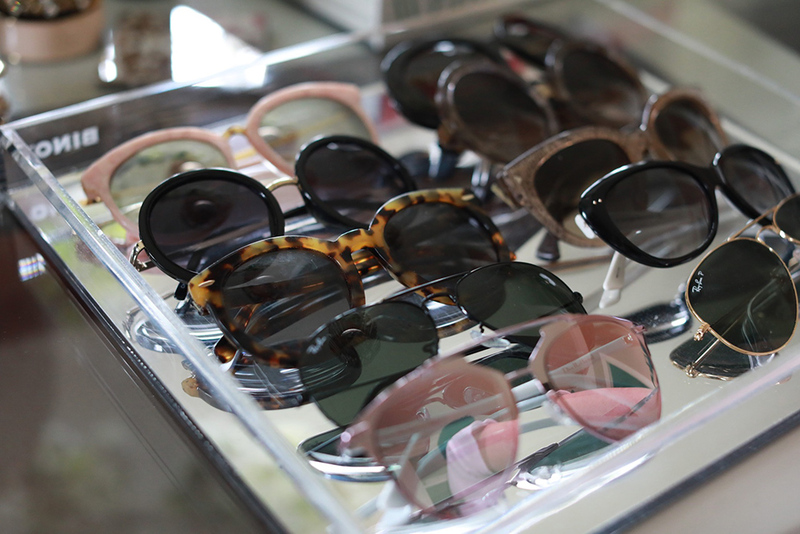 Your sunglasses collection is incredible! Sunglasses are definitely my favourite accessory, I wear them year-around! Hi Rach, I totally agree on the belts with high waisted, they coming back plus they make us look slimmer. This was a great post loved it! The shades look pretty.